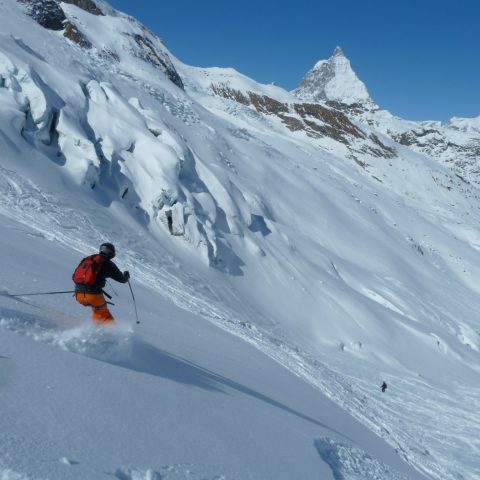 Benefit from the experience of Inernational Mountain Guide Richard Mansfield who has over 30 ski seasons’ experience. He also holds the Canadian Avalanche Association Level 2 Qualification, “an advanced programme for people who work full time in avalanche safety and control operations”. Qualified in 1997. We begin the day with a briefing where we look at safety equipment. We also review avalanche and weather forecasts to better understand the snow conditions and avalanche risk. This day is fun, educational and involves a lot of skiing using terrain to explain decision making, avalanche avoidance (always a good thing) and group safety in avalanche terrain as well as transceiver training and what to do in an avalanche incident. 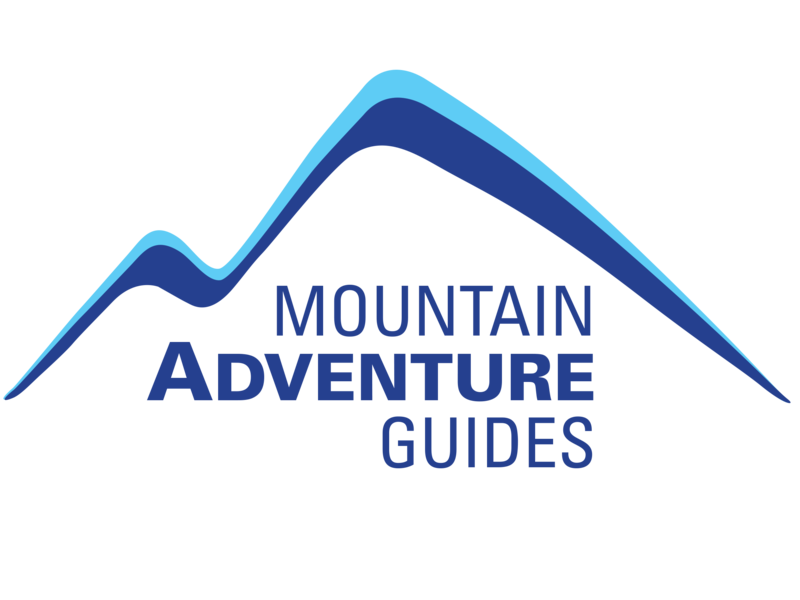 Avalanche awareness course – is it for me? 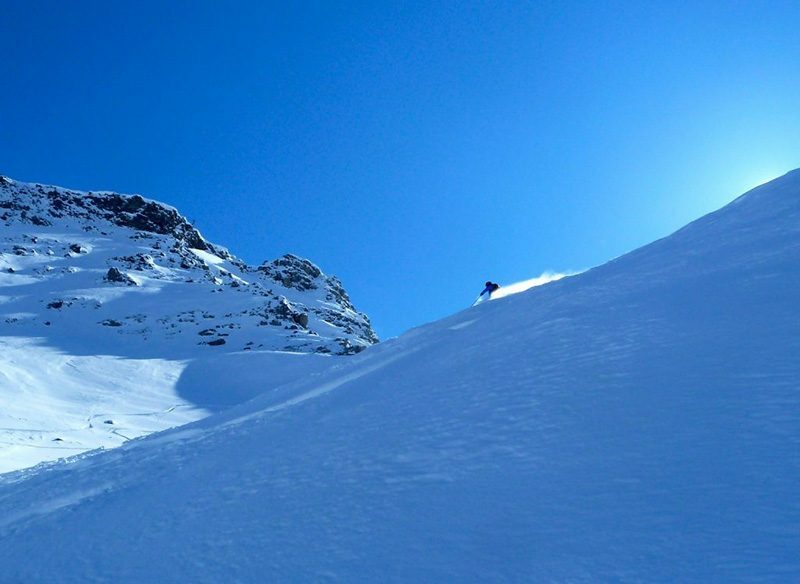 Whether you board or ski off piste, having some experienced, professional avalanche training is a no-brainer. Learn and be safer. Remember if you are riding out of bounds all your party MUST have avalanche transceivers, shovels and probes and know how to use them. Download our Avalanche Awareness Course PDF. from £380 up to eight people. Avalanche transceiver, shovel and probe (if required). All other expenses to be met by the client. Normal skiing equipment plus a small rucksack. Avalanche transceiver, shovel and probe will be provided.